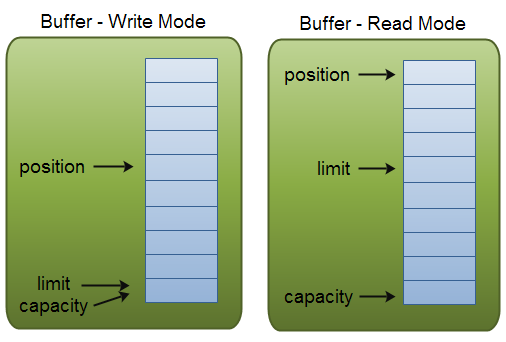 Buffer capacity, position and limit in write and read mode. //read from buffer into channel. //call buffer.get() a couple of times, e.g. during parsing. buffer.reset();  //set position back to mark.